Philippines Team | Communitere: Respond. Relief. Renewal. Operations Director. Timon heads Philippines Communitere’s operations. After obtaining his degree in Development Studies in 2010, Timon worked for NGOs in Tanzania and South Africa. He successfully implemented new M&E programs and took part in fundraising and awareness campaigns. Most recently, he volunteered with All Hands in Tacloban and helped with the deconstruction of damaged houses and the rebuild program of transitional shelters.Now with Communitere, Timon is the foundation for building a self-sustaining non-profit. He is doing this under the guiding principle that there is a link between actions and their effect on people’s lives. 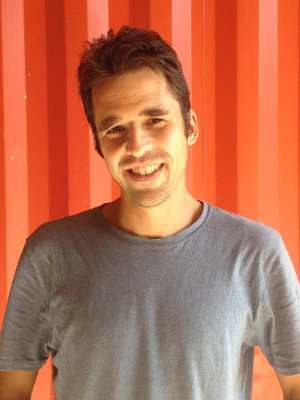 Timon believes that being a humanitarian worker is the best job there is in the world. Outreach Director. Regin is a public relations expert and a multi-awarded Media Practitioner with more than a decade of experience. Regin’s local expertise is invaluable. He has the proven ability to connect with communities and create meaningful communications content that reaches even the most remote and excluded Barangays of Tacloban and surrounding areas. 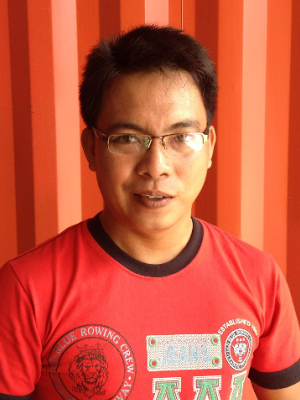 Regin accomplishes this through various channels that he developed during the early Haiyan response as part of Communitere’s “Communication is Aid” project.Regin has made contributions to several humanitarian groups that study the impact of communication in disaster areas. He has also attended work sessions with Asian-Pacific leaders to formulate communication strategies that can be employed in the event that an urgent a response needed in the region. The Landlord. Called “the landlord,” Carlos was generous enough to offer his facilities to international groups during the Haiyan response. All of Communitere’s on-site projects are conducted on his property where he is tirelessly hands-on in providing the amenities we need.A well-off businessman before typhoon Haiyan, the disaster transformed Carlos’ mindset from a copra trader into a humanitarian worker. After the typhoon, he studied the basics of survival during calamities extensively and is an extraordinary resource for all of us at Philippines Communitere. Carlos is advocating the formation of a local team of qualified first responders, with the stated goal of helping people understand the importance of disaster preparedness and survival which are keys to minimal casualties in a time of disaster. Nutritionist. Food, food, and more food! This is what comes to everybody’s mind whenever hearing Fred’s name. He is the master of the kitchen and provider of nutrition to fuel Communitere’s staff throughout their strenuous and demanding day-to-day tasks.Fred survived the typhoon and lost everything he had, yet got back on his feet quickly and has been helping since the early days of Philippines Communitere’s formation. What tools is he using? The stove, the pot, ingredients and a love for work. If it’s true that the best way to a man’s heart is through his stomach, then we are all in love with Fred. Apart from twirling pans and saucers, Fred is also in charge of keeping the working spaces tidy and more conducive for productive labor. 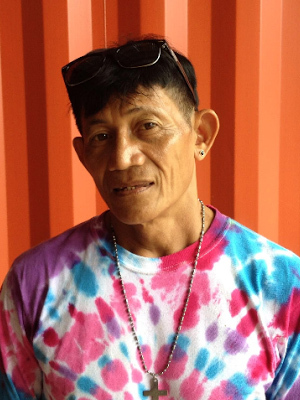 What few may know about Fred is that he is also engaged in many community activities in Tacloban. He organizes events, arranges childcare and has even participated in political matters in his community.